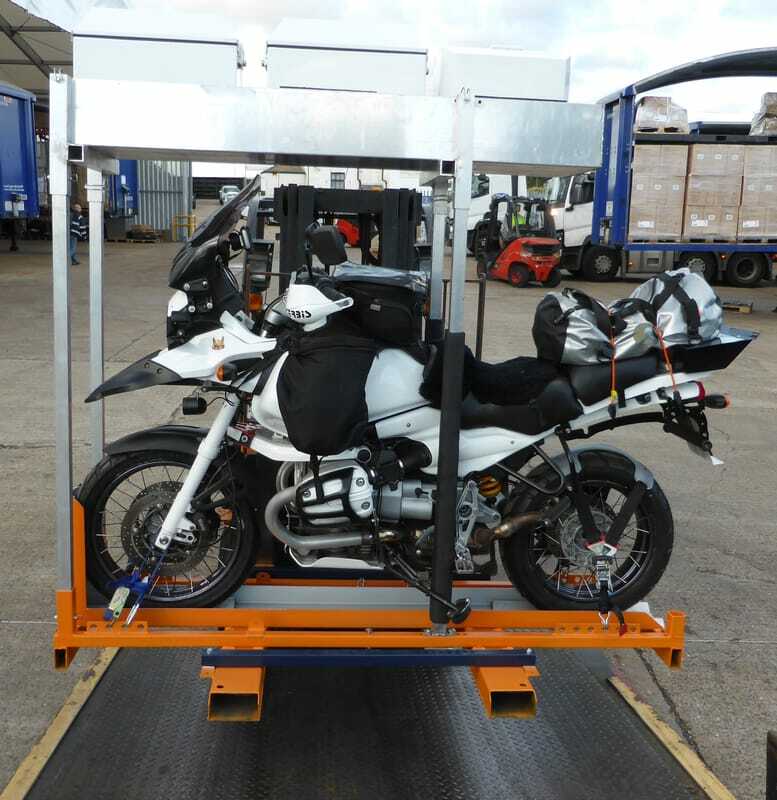 All panniers/top boxes to be removed to save space and unlocked for Customs. 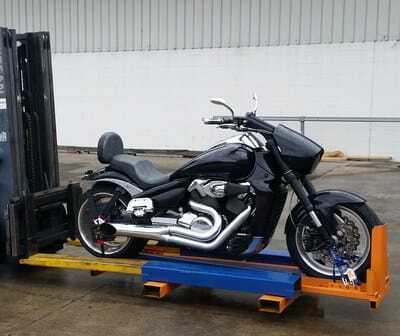 ​If they are not removed or they are unable to be removed (due to them being incorporated into the motorcycles fairing such as a Goldwing) This will attract the next higher price. There is provision for your panniers and top box to go above your bike with enough room for 2 sets of boots, gloves, jackets, trousers and 2 helmets. 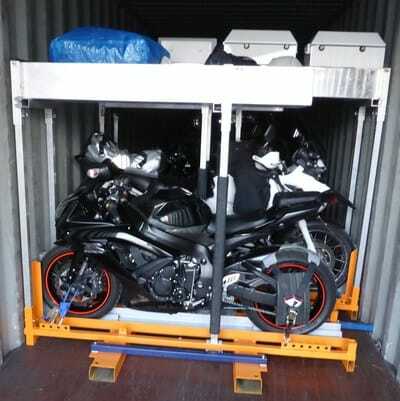 ​As your big motorcycle Goldwings etc will then have to be placed in the container lengthwise which takes up more floor space. Your motorcycle must have the fuel tank near empty and battery disconnected with both terminals taped up before your bike is allowed to go into the container. Immaculately clean your bike (including under the mud guards) and ensure there is not dirt or insects. If your bike is not clean when arriving at the container depot in the UK, then it will not be loaded into the container until it is clean. All bikes must pass MPI biosecurity inspections once entering into NZ otherwise fumigation charges will result. A written valuation of your motorcycle is required from a local motorcycle dealer to prove its value. 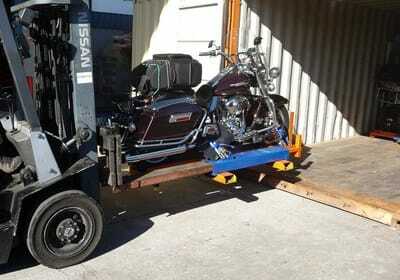 A copy of your ownership papers is required to satisfy New Zealand Customs that you are the legal owner of your motorcycle. Once you arrive in New Zealand, we will arrange for a New Zealand Warrant of Fitness (MOT) inspection on your motorbike. This ensures you are able to drive legally on NZ roads. However, if your motorbike fails the Warrant of Fitness, we will not be responsible for any charges that are incurred if it is not up to NZ road worthy standards. This responsibility will be on the owner.